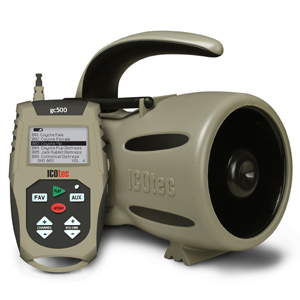 Join Carolyn as she walks you through the setup, detailed product features and specifications on the new line of electronic game callers from ICOtec. The Call of the Wild Series of Predator Attactors is a line of great new callers for the predator hunter market. 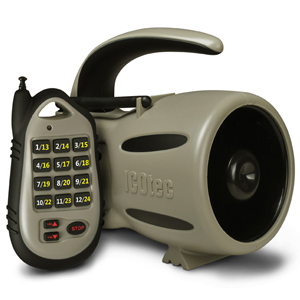 The GC300 is the flagship of the series while the GC100 and the GC101 follow closely behind with fantastic features and value that is hard to find in the electronic caller market today. Carolyn is the new ICOtec spokes person with a sparkling personality, wit, knowledge and charm. As a former model, and a farm girl, she looks forward to bringing our message to you as the host of our product introductory video series. We would like like to thank Carolyn and welcome her to ICOtec as a team member for our Marketing & Communications special projects. Stay tuned for more products from ICOtec and Carolyn in the near future.